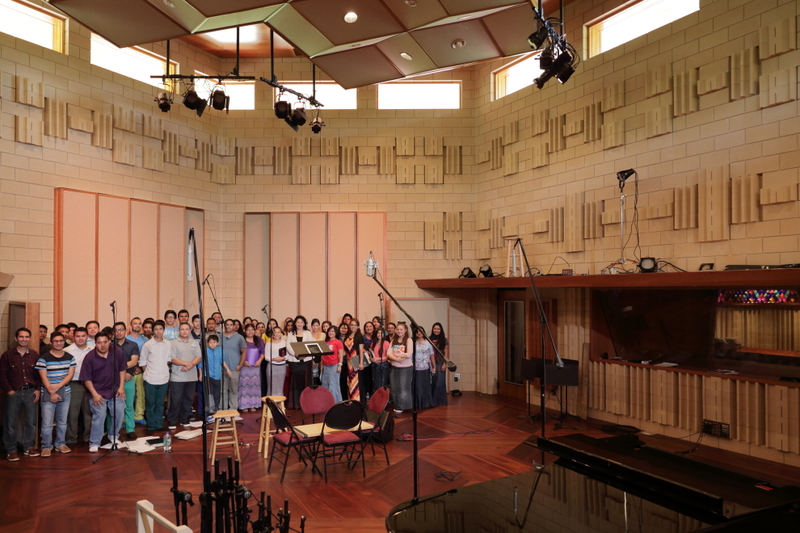 The acoustics of the studio were a perfect match for the singer’s voices, and many of them told us that the aesthetics of the studio made them feel very much at home. We had set up microphones the day before, and it did not take long before the sections came into balance, adjustments were made, and the recording process could begin. The generous amount of diffusion built into the hard concrete walls make the acoustic space seem about twice as large as it is, providing a very open-sounding blend, without the negative effects that twice as much reverb would entail. 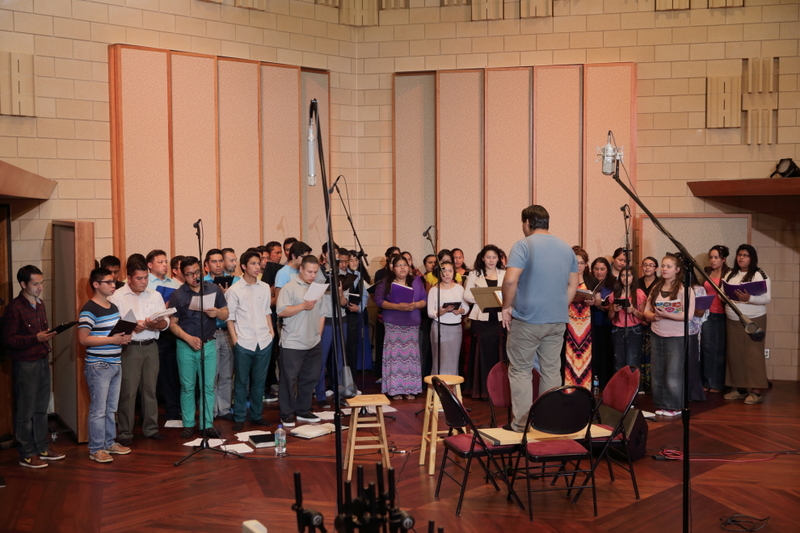 The session went very smoothly, in part because the singers and soloists were very well-rehearsed. They prepared ten songs and sang through each song twice. Five songs were recorded before lunch and five after lunch, leaving the choir free to explore Chatham county in the afternoon. It also gave Ian Schreier ample time to equalize, blend, and balance the various sectional and room microphones to create the final mix before dinner. Every session at Manifold Recording has its own goals and its own unique requirements. In general, we advise people to budget a day recording a song and another day to mix a song, but that is a very general guideline. For complex creative projects like the one we just finished with Kat Robichaud, many of the songs were recorded over a period of at least three days (foundation tracks on day one, guest instrumentalists on day two, lead vocals and final vocal harmonies on day three). Mixing for that project also took multiple days per song as we evaluated several alternative arrangements, creative mix ideas, editing, etc. Taken together, that represents one extreme. Recording and mixing ten songs in an eight-hour day represents another extreme. It is very satisfying to know that we can easily accommodate both. And everything in between. Please contact us if you would like to record your next CD at Manifold Recording!